Posted April 11, 2015 by Road Junky. In Case There Is No Doctor is advertised as ‘The Medical and Survival Guide for Travels On and Off the Beaten Track’ and this little, life-saving book is just that: 192 perforated pages (so you can just take the info you want if you’re really travelling light) on how to recognize and treat common illnesses and injuries, and how to stay alive in a tight spot. 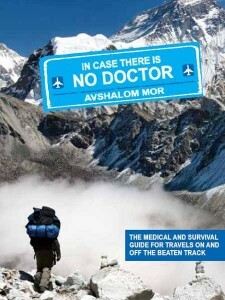 The author, Avshalom Mor, is a paramedic from Israel who has obviously traveled a good deal and he gives advice from the traveler’s point of view, always taking into account the limited resources you might have at hand when there’s a medical emergency or face a dangerous situation; when facing a dangerous dog at night, for instance, Mor suggests shining a torch into its eyes. He even gives tips on what to do in life-and-death fight with a dog (you rip out its testicles). In Case There is No Doctor has plenty of survival advice but first and foremost it’s about first aid. Most of us feel pretty stupid for not knowing more, or we would if we watched someone die for want of knowing how to save someone who’s choking or having a heart attack. And yet if you’ve ever tried to commit to memory all the guidelines to save someone’s life you’ll know how easy it is to forget it all the moment you put the book down. Most of us learn best by doing rather than just reading about it and few of us get much practice in applying a splint to a broken bone, sewing up a wound or treating scorpion bites. So when the moment comes all that we’ve learned just flies right out of our heads. Wouldn’t it be great if you had a little manual that fits in the pocket that you could consult? Mor also recommends various herbs and plants for their medicinal properties but strays outside of the general scientific consensus when he holds urine to be antiseptic, for instance (it’s long been thought to be sterile though even that is now in doubt). 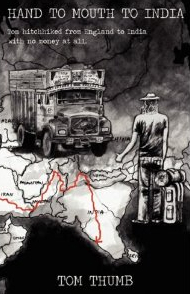 But overall this is a book that you can learn from every time you pick it up and makes a great traveler’s companion taking up very little space in your backpack and who knows, it must just save your – or someone else’s – life one day. The best introduction to modern Iran, its tragedy and its beauty that you’re likely to find anywhere.